Awesome location, beautiful water views, bright & spacious; what more could you ask for! This 748sqft/1bed/1bath home is in excellent condition, shows well & offers an open layout. Features: welcoming entrance, large kitchen with plenty of cupboard/counter space, excellent insuite storage space, a huge master bedroom with a large closet, cozy F/P, fully covered balcony and more. The Anvil, located in the heart of the Brewery District in New Westminster, offers concrete & steel construction & allows for pets & rentals. 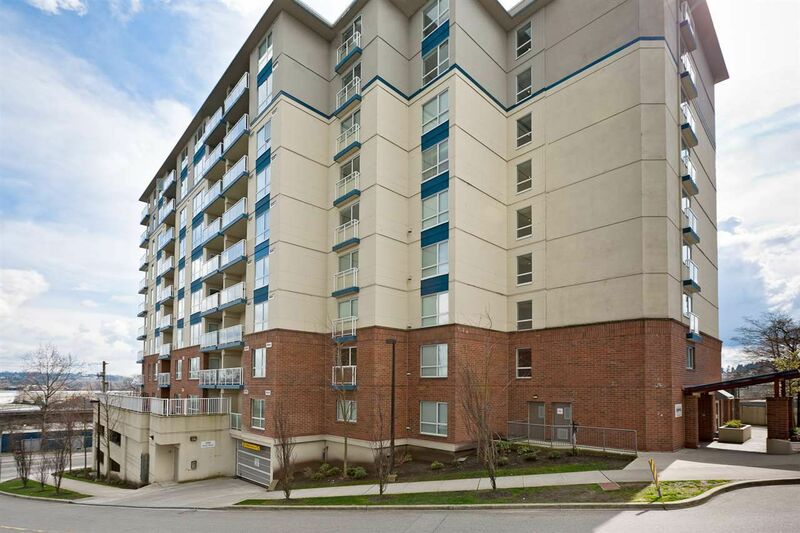 The location can’t get any better: steps away from Skytrain, bus route, RCH, ton of shopping, recreation & parks. Act Now! Call today for your private viewing.